BSPP hex male connector is a kind of BSPP pneumatic fittings, one touch tube fittings with O-ring and BSPP push in fittings. BSPP hex male connector connects a tubing in line from a BSPP female thread. 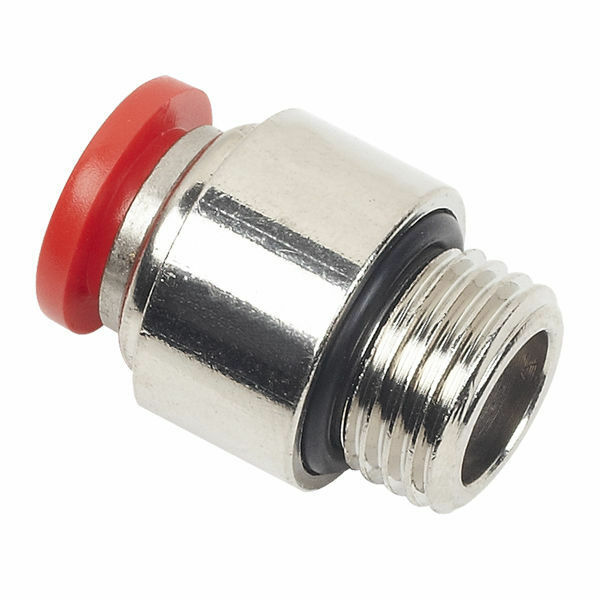 One Touch Tube Fittings Hexagon Male Connector Accommodates Metric Tubing O.D Ranging from 4mm to 16mm, Inch Tubing O.D Ranging from 1/8" to 1/2". Accommodate Thread Ranging from BSPP 1/8 to BSPP 1/2. Round male connector pneumatic fittings (push in fittings) are widely used in pneumatic circuit. Connection of tubing at a 90° angle to a female thread. External tightening with a flat wrench.